The original Margarita was supposedly invented in 1948 by socialite Margarita Sames. According to the legend it was during a party at her cliffside hacienda in Acapulco that Margarita began experimenting with “the drink”. 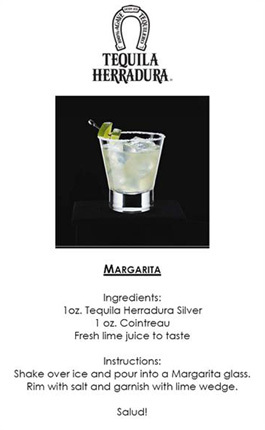 Looking for something to cut the dust of a hot afternoon, she mixed Tequila Herradura, Cointreau and fresh lime juice. Her cocktail kept the party going for two weeks and today the Margarita is the #1 most popular cocktail in the U.S.